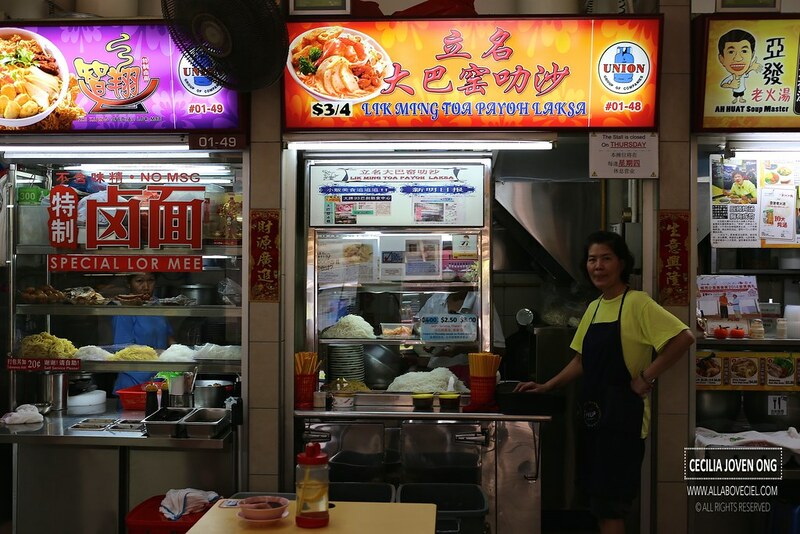 This is one of those popular stalls in this Food Centre serving only a single item on their menu which is Laksa at $2.50, $3.00 and the largest portion at $4.00. 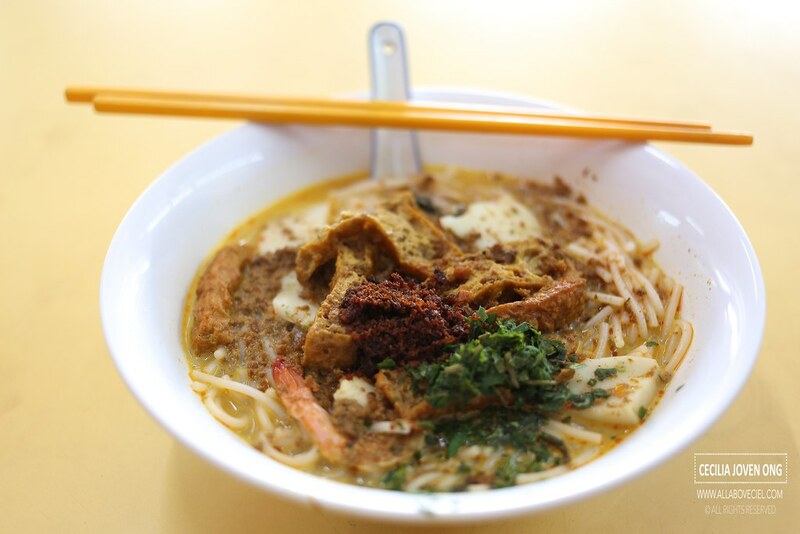 The friendly Auntie spotted me when i was approaching the stall, she smiled and asked, 'Laksa ah?' And, i asked, 'How big is the $4 portion?'. The Uncle overheard and he said, 'The $3.00 is already enough as it is quite a lot". I said, "Most of the stalls are giving rather small portion for that price and it is not filling." Uncle replied, 'We do not do that here." Auntie then asked me to take a seat as it will be served to me. 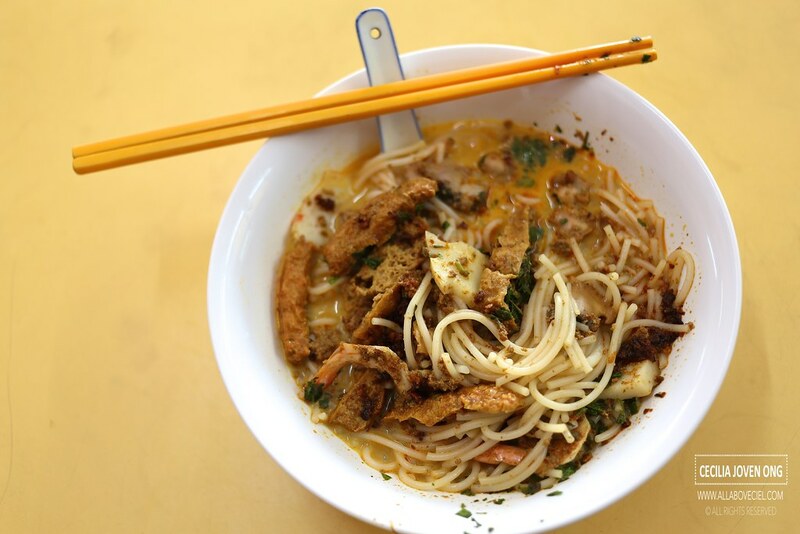 The Auntie and Uncle are already the second generation serving this old school Laksa. Auntie walked over to my table in less than 5 minutes, carrying my bowl of Laksa and a plastic container that stored their special dried shrimp chilli, commonly known as Hae Bee Hiam. She asked whether i want it to be added and i nodded my head, she then added a big spoon of it to the Laksa. It also came with a bit of chopped laksa leaves to enhance its flavor. I stirred it slightly to mix the dried shrimp chilli and dried laksa leaves into the gravy before tasting it. 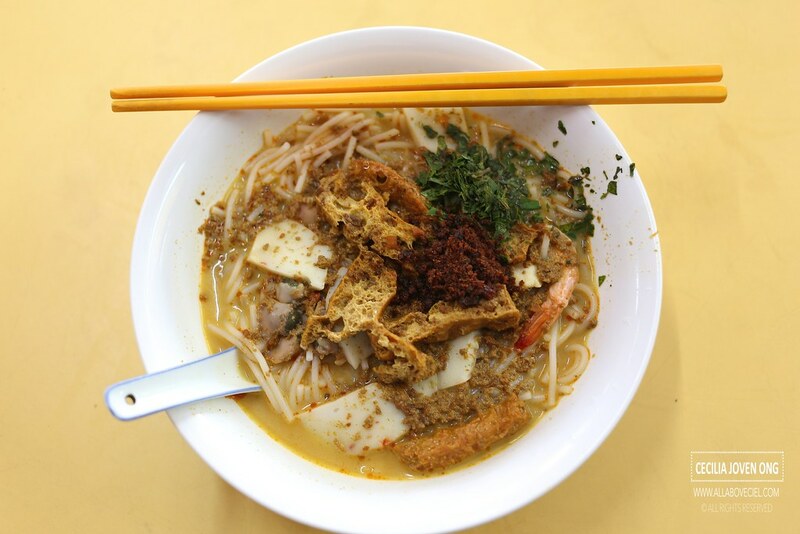 It consists of a substantial portion of thick bee hoon with a few pieces of tau pok and a few slices of fishcake together with a handful of cockles and 2 pieces of halved prawns. The gravy was quite light with a hint of coconut milk and its level of spiciness was rather mild. It has a homely feel and comforting taste which i liked. Yeah I know about this stall and I would greatly recommend everyone to try it out when you visit the area. The food is great and the taste of the dishes is extremely wonderful and brilliant.